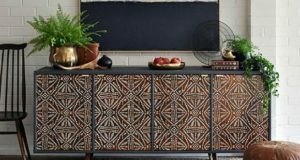 Stencils can transform surfaces such as walls, ceilings and furniture — but did you know that stencils could also be used to create inexpensive yet great-looking custom works of art? Stenciled canvas art pieces are easy to paint and can be a fantastic weekend DIY project! Stenciled art is also a great option when you need to fill bare walls with color and pattern. Depending on your taste in artwork, you can easily use your stencils to create aged and vintage canvases, layered mixed media collages, or make a pop piece of modern and contemporary art! Know what’s BEST of all, though? 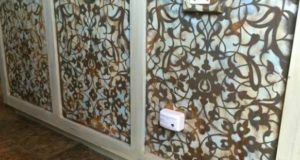 Stenciling and hanging your own “fine art” gives the satisfaction of knowing YOU created art for the walls with your creativity. Deb from India pied-à-terre accomplished just that when taking paper, stencils and metallics to create her own cool artwork! 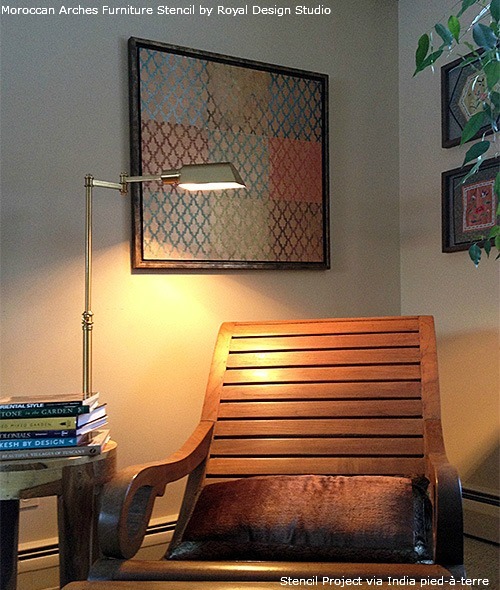 Use an inexpensive framed art piece as your base. The artwork is sturdy for your work and it is already framed! Find your favorite sheets of scrap paper that work with your decor and arrange them as you wish. 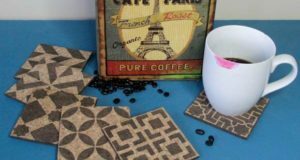 Use Mod Podge to decoupage the papers onto your “canvas” base and a brayer to smooth the papers out. Let dry. 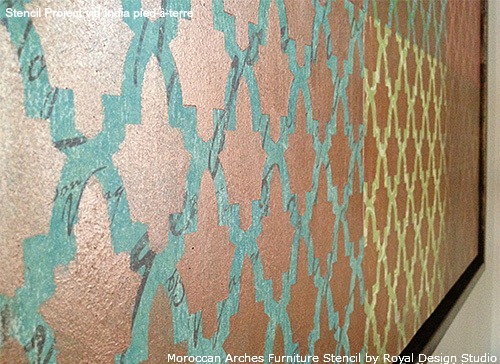 Using metallic bronze paint (we suggest our Bronze Age Stencil Creme), stencil in your pattern over the paper collage. Creating your own stenciled canvas art is a fun, personal way to decorate a small entry to a large living room wall. It’s also a great project to either do by yourself, with kids and even a group of crafty friends! You can always use the suggested pre-framed wall art as your base but remember that wood is also a great surface for stenciling as well as canvas and even burlap! We hope you’ve been inspired to become your own Picasso and fill your walls with stencil art you love! 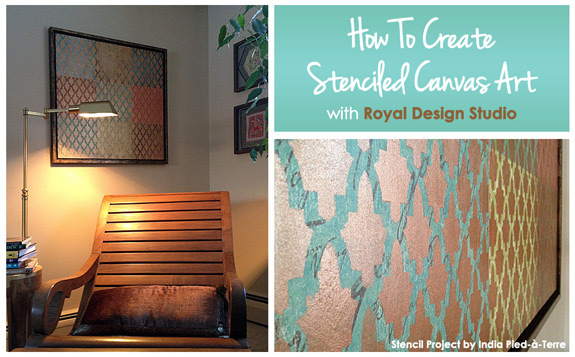 Are you inspired to create your own stenciled masterpiece? See MORE Stenciled Canvas Art ideas on our Pinterest board! 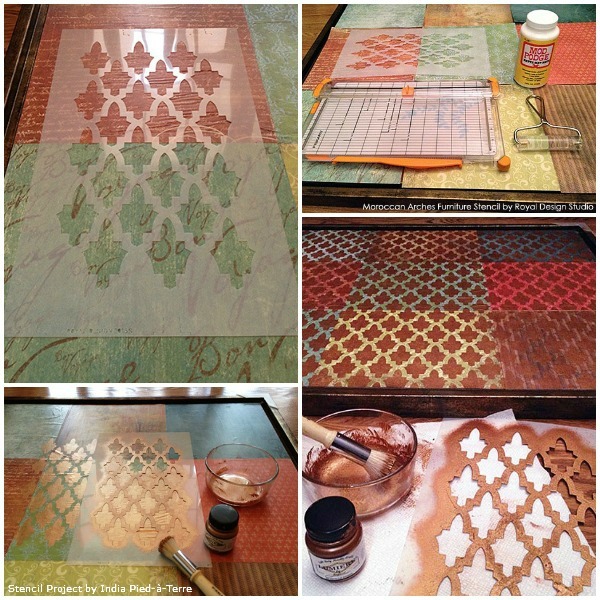 Fabric & Embellishments help you create a fab mixed media wall stencil project! 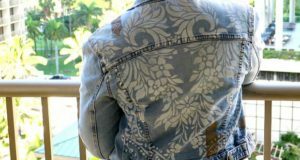 Click in to get daily stencil, pattern and design ideas on our Facebook fan page and Pinterest boards! I always spent my half an hour to read this blog’s content all the time along witha cup of coffee. You really make it seem really easy along with your presentation however Iin finding this topic to be actually one thingthat I feel I’d never understand. It kind of feels too complex andextremely wide for me. I’m looking forward to your subsequent submit, I’ll attempt to get the hang of it!